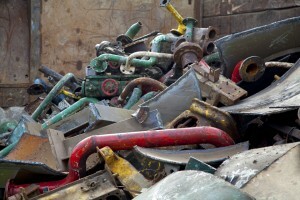 Iron / Steel is probably the biggest commodity that is recycled in the UK today. Keeping up with world markets is a demanding enough job in itself and to achieve the best possible prices means we are constantly sourcing new outlets for our stock. The Commodity Market is constantly changing and the Metals Market is one of the most volatile – so prices rise and fall sharply. We strive to give our customers the best possible prices that are transparent and there for everyone to see. Should you wish to discuss prices in more detail, speak to a senior member of our team. Mid-Kent Metals buy most types of Non-Ferrous metals e.g. Copper, Brass, Aluminum, Lead, Stainless Steel, Batteries, Cable, to name but a few. Any amount of these materials will be taken, weighed and paid out accordingly. 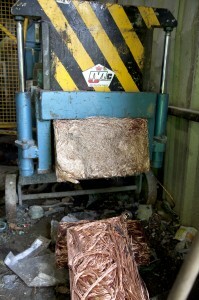 As reviewed in the ‘Ferrous’ section, the price for these types of material can change daily. This is a volatile market that sometimes forces both huge increases or losses instantly. We have taken this potential problem away from you, the customer, in so far as when you call us for a price and it is agreed then that is the price you are paid. You are also covered if the market falls away or if the market increases – we will guarantee to top your price up to market value. As indicated in our ‘About Us & Services‘ section we are here to help, solve, and de-stress all of your day-to-day problems to a perfect outcome. Again, should you wish to discuss any of our services or prices in more detail, please call us and you will be directed to a senior member of the team willing to help.